The first time I went to a business mixer, I was so nervous about meeting other people, that after getting a drink, I went and stood in a corner next to another guy who also seemed to have the same problem. That’s where I stayed the whole night. 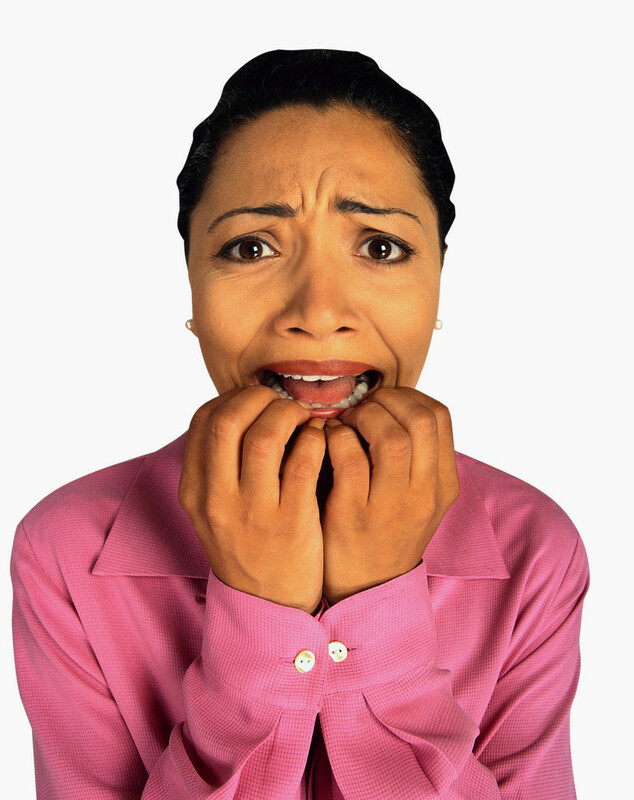 Have you ever walked into a social situation with fear or dread about what you will say or do in front of other people? If so you have experienced social anxiety. Social anxiety is a feeling of discomfort or fear in social situations where a person is concerned about being judged or evaluated. There’s usually an intense fear of what others are thinking about them. Social anxiety is typically a part of childhood development, and most kids grow out of it. If they don’t, however, it can turn into chronic social anxiety in the teenage years or even into adulthood. Of course, we want to be sensitive to social norms, and we expect to be judged to some extent on how we are dressed, how are act, what we say and how we interact with others. This is a normal part of the social process. If this fear of the expectation of others becomes too severe it can affect a person’s quality of life. Social anxiety that is chronic and disabling is called social anxiety disorder. This is social anxiety that interferes with a person’s daily activities. According to Harold Leitenberg in the (1990) “Handbook of Social and Evaluation Anxiety”, roughly 40 million American adults 18 years or over have an anxiety disorder. Everybody is looking at me. Spending too much time on phones or devices or hiding in a corner to avoid contact. Almost everyone can benefit from healthy social interaction. Avoidance because of social anxiety not only leaves one alone and isolated, but can affect self esteem and result in lost opportunities for meaningful personal and business relationships. You can learn to be comfortable in social situations and release social anxiety. It takes practice. Here are some tips for dealing with social anxiety. Become aware of when your social anxiety gets triggered. Is it at the supermarket? Parties? Meetings? Get clear about when your feel the most uncomfortable. You can then be better prepared for those situations. Take someone with you. When I got back from the mixer that I told you about, my wife asked me how many people I met. I said “None”. She went with me to the next mixer and introduced me around. It really helped. Find someone that is more outgoing than you are, and have them help you meet people and show you how it’s done. Ask questions. If you are concerned about what to day in a social situation,get good at asking questions. Everyone likes to talk about themselves. Ask questions such as: What do you do? Where are you from? What made you come here today? Get people talking and you won’t have to fumble for things to say. Create a script. Have a script of things you want to say or talk about. Don’t wing it, be prepared with questions you can ask or topics you can talk about. Make sure you eat. Social anxiety can be triggered by being hungry. If you are going to put yourself into a situation where there might be some social anxiety, make sure you eat something before you go. Practice. Find someone you trust and practice making conversation comfortably. Or join clubs or take classes where you will become “desensitized” to social anxiety through exposure to situations where you will be meeting new people. Mental rehearsal. Before you go into a social situation, imagine yourself feeling calm, relaxed and comfortable. Take some time to relax your body. See yourself having interesting conversations, smiling and having fun. As a hypnotherapist, I help people deal with social anxiety. I offer a complementary 30 minute phone consultation. If you are ready to release social anxiety, don’t wait any longer. You can contact me by clicking here. Want to learn how to ease anxiety about dental and doctor visits? Watch this video. I was recently asked by Dr. Jack Von Bulow of Temple City Dental Care to give a presentation on how to ease anxiety about dental and doctor visits. We all know that to maintain our dental and physical health, we need to pay regular visits to the dentist or doctor. However, many people are prevented from getting the care they need because of the fear and anxiety they have about going to the dentist or the doctor or even thinking about a doctor or dental visit. In this video recording of my presentation on July 30th, I discussed five simple things that you can do to ease anxiety about dental or doctor visits. Download handouts on how to ease anxiety about dental and doctor visits. Handouts were available at the event, including “5 Things You Can Do to Be More Comfortable, Calm and Relaxed When Visiting Your Doctor or Dentist” and Dr. Jack has generously provided them for download on his website. You can get them by clicking here. If you do even one of the five things I’ve suggested, you will get some relief. If you do all of them, you may experience a definite reduction in your fear and anxiety. I’ve even provided step by step instructions on the steps to take leading up to your appointment. If you know anybody that suffers from fear and anxiety about going to the doctor or dentist, please forward this information to them. Back to School Challenges? These Special Offers Can Help. I remember some back to school challenges when I started 3rd grade. I was pretty nervous. My teacher was going to be Mrs. O’Brian and I heard that she wasn’t very nice. My mom had taken me to school for the first day of 2nd grade at my new school, but since she now had 7 other kids to care for, I was on my own and I think I even had to walk to school that day. Turns out Mrs. O’Brian wasn’t very nice. She yelled a lot and I was afraid of her. I think teachers were a lot different in 1969. Not only that, but it seemed like my fellow students got meaner in the 3rd grade. More fights, violent games, bullying. I can say that I started to feel stress in the third grade; more homework, projects, reports. Of course, my parents were having back to school challenges of their own, with kids in kinder, 1st, 2nd and 3rd grades and 4 more at home. Back to school challenges can cause stress for parents and children, as well as adult students returning to school. Just helping my kids with homework makes me want to have a drink. For many parents, myself included, getting kids up, dressed and to school on time has the potential to ruin a day. Students often have to deal with anxiety about tests, more homework, scary teachers and fellow students, and the transition from no school to back to school. If you or your child is experiencing any of these back to school challenges, I can help. I work with kids age 12 on up to help them with back to school challenges such as general anxiety regarding transitioning into the next grade level or a new school, as well as test anxiety, focus and concentration, and sleep problems. I also work with adult students going back to school, some for the first time in years. Dealing with back to school challenges after being out for a few years can be a stressful adjustment. I can assist with text anxiety, focus and concentration. In addition, I can help with time management, procrastination and motivation. I help parents deal with the stress of back to school challenges. I’m very aware that my mood and attitude in the mornings can affect my kids and their day. In spite of that awareness, I still find myself getting frustrated and impatient. Fortunately, there are many tools that can help me have the attitude and patience to send my children off to school in a way that is productive and conducive to learning. These are the tools I am able to teach to parents as well as using the Moreno Method for Life Transformation to change negative habits and patterns of thinking. So for those experiencing back to school challenges, I’m offering back to school specials! $51 dollars off my regular fee for four sessions. The course syllabus for my Self Hypnosis for Success class which includes my Self Hypnosis Conditioning CD. ($25.00) I’m offering this class at the end of this month at PCC, so if you are local and want to take it, you already have the class materials. Why not give yourself and your student the chance to overcome those back to school challenges and have more calm, comfort and concentration? Click here or call me at (626) 826-0612 or toll free (855) 837-8477. Wishing you, and your family and warm and relaxing Fall season. https://tedmoreno.com/wp-content/uploads/2013/09/MP900308953.jpg 399 600 Ted Moreno https://tedmoreno.com/wp-content/uploads/2018/05/The-Moreno-Method.jpg Ted Moreno2013-09-11 21:03:032018-05-30 21:07:06Back to School Challenges? These Special Offers Can Help. Test Anxiety: How to Deal With It. At the end of July all over the country, thousands of people will take the bar exam and fail due to test anxiety. The failure rate in California in 2004 was 56 percent. Although some will fail because they are not worried enough, many will fail because they are worried to the point of test anxiety. Test anxiety can show up as early as first and second grades as well as in high school. A 2006 U.S. Department of Education-funded study conducted by the Institute of HeartMath and Claremont Graduate University with 980 10th-grade students found that 61% of all students reported being affected by test anxiety. It is a psychological condition where the test taker feels severe distress before, during and after the test; one can get so nervous and anxious about doing well (or just passing), that performance on a test is negatively affected. If you know how a college final can produce this type of anxiety, then imagine having test anxiety while taking the bar exam, or an exam for licensure, where the stakes are high and there has been a significant investment in both money and time. It’s normal to have some type of nervousness about taking a test and in fact, this nervousness can be helpful by getting us into a state where we are pumped up to do well. When this nervousness escalates into test anxiety, however, it can not only interfere with recall of information but may create a reaction so intense that it some people give up taking the exam entirely, or continue to put it off until “someday”. Test anxiety is a form of performance anxiety. Performance anxiety is where someone is extremely nervous about having to produce a result in a limited time period or in front of people who are judging them. Test anxiety, stage fright, fear of public speaking and “choking” in sports performance fall into this category. Symptoms of performance anxiety are similar to most other forms of anxiety reactions: rapid heartbeat, sweaty palms, shortness of breath, shakiness, confusion, or other physical aches or pains such as nausea or a stomach ache. In my work as a hypnotherapist with people who are challenged by test anxiety, I notice that many of these people share similar characteristics, such as being prone to high stress, having perfectionist tendencies, or worrying a lot. Most instances of test anxiety can be dealt with in just a few hypnotherapy sessions, but here are some suggestions you can put to use right away. • Diet can affect your ability to think and recall information. If you are skipping meals or eating meals or snacks high in carbs while studying for an exam, then you may be experiencing episodes of low blood sugar (blood glucose). Since the organ that uses the most glucose is the brain, a balanced diet can be helpful in creating optimal brain power. Have healthy snacks while you study. • Sleep seems to go by the wayside when students are preparing for exams. Plan your study time for when you feel the most alert, which for most people is not usually late at night. But if that works for you, then make sure you’re getting the amount of sleep that’s right for you. It’s probably more than you think. It makes sense to be well rested in the days leading up to a major exam, yes? • Lack of preparation can cause test anxiety. Last minute cramming can leave you feeling like you are not ready, creating anxiety. Manage your time by organizing your schedule to give yourself the best conditions for learning. Decide ahead of time when, and for how long you will study. I suggest studying in periods of 50 minutes to one hour, with 10 to 15 minute breaks in between. • Effective Preparation. Many people will only prepare for an exam by cramming the information into their heads. This is only half the equation; taking the test will involve recalling the information. Prepare for the exam by taking as many practice tests as you can as soon as you can. This will also clue you in as to what areas require more study. • Mental visualization can be one of the most effective techniques you can use to mentally “rehearse” taking the test while feeling calm, relaxed and comfortable. See yourself walking out of the testing location feeling good about your performance. Imagine receiving the information that you have passed. Setting a goal of passing with a particular score increases the chances that you will. • Extreme self care might be getting massages in the days or weeks before the exam to release excess tension and stress. Get a good night’s sleep the night before the exam, and don’t even thing about showing up without eating a good meal with protein. Daily walking or any type of exercise can also be a great stress reliever. Remember, anxiety comes from prolonged stress and tension. Find ways to release it. For the most part, test anxiety is a learned response. With practice, you can unlearn test anxiety and learn a different reaction. Have faith in your brain, and cultivate a strong and abiding belief that you can and will pass! https://tedmoreno.com/wp-content/uploads/2013/07/MP900414035-237x300.jpg 300 237 Ted Moreno https://tedmoreno.com/wp-content/uploads/2018/05/The-Moreno-Method.jpg Ted Moreno2013-07-09 21:53:442018-05-30 21:13:49Test Anxiety: How to Deal With It. People that come to me really want only one thing: Liberation. Like all of us, they want to be liberated from thoughts, feelings, sensations or behaviors that don’t serve them. I help them be aware that none of those things is who they really are. I help them see that the things they want to be free from exist as the content of the mind: the ongoing, always changing stuff of the mind. That’s what minds do: they produce content, and we are trained and conditioned to look for content. We’re attached to content. If we can develop the awareness that as human beings we are hypnotized by the content of our minds, then we can see the truth of what’s going on, and see that we have a choice. What’s the content of our lives? Beliefs, thoughts, feelings, everything we think we are: the past, our future goals, and the details of our life situations. So what’s the context? Like the screen in a movie, it’s the awareness that all this content is projected onto. The content is always changing but the awareness of the content is always present, even if you are unaware that you’re aware. And most of us are unaware of our awareness. This is where we can lose our power. Just like watching a movie, we get hypnotized by all of this content. We get involved in the drama, the story. We become attached to it. We identify with it and we say this is who I am, this is what I believe. And we can become so invested in this content, so invested in what we believe and feel, that we may be willing to die or even kill for it. Take anger, for example. Nobody ever really makes us angry. We make ourselves angry by thinking “It/he/she/ shouldn’t be like that.” The divide between how it is and how we think it should be is what creates anger for us. But how we think it should be is not real. It doesn’t exist. But our tendency is to believe that everything we think is true. But I’ve got news for you. Most of what we think is true is simply theory, belief, opinion, generalizations and habitual patterns of thinking. Take fear. When we say “I am afraid”, we’ve now become the fear. Then we might say “I shouldn’t be afraid. Why am I afraid? I hate being afraid. I hate that thing that makes me afraid.” This is just more content. All we’re doing now is keeping the fear alive because what you resist persists because you are putting energy into it. The truth is, “I am aware of the emotion of fear, which will soon pass or fade.” What’s even closer to the truth is “I am awareness”. This is the context out of which all this content arises. What happens when we feel fear and we keep on going? Fear changes and starts to become courage, then confidence, then competence. It’s always changing. Because content is transitory. How can we liberate ourselves from our mind stuff and identify more powerfully with the awareness of this content? (Which in my opinion is who we really are.) We can start by being the observer of our own process. We can notice when anger, worry or any other negative emotion, feeling or thought comes up. We can say “anger coming up” or “anxiety movie starting now”. We can disengage from “I don’t want or like what is happening now” and just be with what is going on within us, without judgment or wishing it was something else. Now we are no longer reacting. Now we can be responsible which means “able to respond.” That’s freedom, the ability to choose a response instead of reacting. Here’s something to try that is very simple. It will take 5 minutes and will give you the chance to see your content in all its glory. Just observe what is happening. Watch the stuff just roll on by without getting attached to it. This is the essence of meditation. Let me ask you a question: what would happen if you were to do this every day for 5 minutes? I invite you to try it and see. A Simple and Effective Technique for Pain Relief. If I showed you a simple and effective technique for pain relief, would you use it? How about if it worked for stress? Anxiety? It’s called EFT or “tapping” and I’ve been teaching this to almost every one of my clients for years. I even posted a video demonstrating it. I use it, and it works for me. In fact, tapping has become so popular there is now a Tapping World Summit! The video above was produced for the Tapping World Summit but has really good info about tapping. Check it out, and if your curiosity is aroused, then check out the official EFT website. You can also type “tapping” or EFT into YouTube and you’ll find hundreds of videos on this very useful and effective tool. https://tedmoreno.com/wp-content/uploads/2018/05/The-Moreno-Method.jpg 0 0 Ted Moreno https://tedmoreno.com/wp-content/uploads/2018/05/The-Moreno-Method.jpg Ted Moreno2013-01-24 18:14:472013-01-24 18:14:47A Simple and Effective Technique for Pain Relief.